William R. Brown, 1931-2014. Photo May, 2010, by Jeff J. Brown. Considering the fact that my father died this week, that event will be discussed in the later part of this missive. 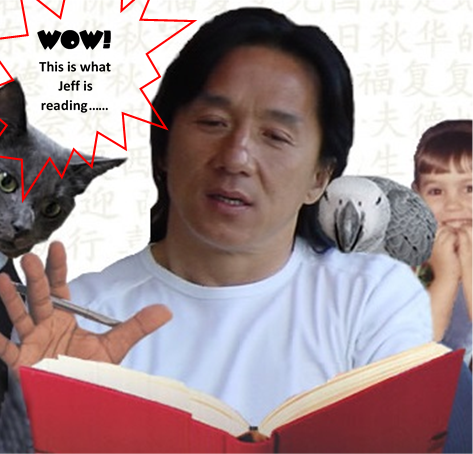 But first, a quick review of the Year of the Snake, 2013. It’s now been three years back in Beijing and our tenth and counting. This throbbing megalopolis of 20 million souls is our home. Chara, our younger daughter, loves it here and is gaga about learning Chinese, which she studies vociferously at the French Lycée. Three years ago, we uprooted her from the assured suburban comfort of growing up in Oklahoma, to come to China, and she couldn’t speak a word of French when we got here. The fact that now as a high school junior, she is not only above average in overall grade point average, but in French language as well, is a testament to Chara’s solid work habits and serious attitude about learning. We have hired a scout in the US to help her find a good university, where she can get her degree on a soccer/football scholarship. As a career, she has bandied about everything from being a PATCO, to graphic design, to art, to architecture, to law, to Chinese language studies. She still has next year to decide. Florence is doing private tutoring and quite a bit of substitute teaching at the Western international schools. If the hiring practices at the French Lycée were more transparent and up to international business standards, given her qualifications and experience, she should have a job there. Otherwise, in the English language international schools, there is a huge and unnecessary bias against hiring anyone who does not have English as their mother tongue, even though people like Florence have excellent writing, reading and speaking skills. I’ve met many a “native” English language speakers around the world and couldn’t understand a word they say, and I get correspondence from teachers and other college educated professionals with appallingly bad writing and grammar skills, but the bias is still there. I am in my third year at Daystar Academy and have taught 4th, 5th and now 6th grade. I turn 60 this year, my fifth revolution around the Chinese horoscope’s Year of the Horse, so it will be interesting to see what happens about keeping a visa to continue working at Daystar, or any other school in China for that matter. Legally, at 60, I’m supposed to turn into a pumpkin and have to leave China, but many an older international teacher works in China, so we will just have to wait and see. Even with one teacher’s salary in China, our standard of living here and quality of life is so much better than what it would be in the US, where we would probably already be laid off teachers and begging relatives to live with them. While we would be very financially at ease if Florence had a fulltime teaching job, we can count our blessings that we are comfortable here and have access to good medical care, with my one salary. It will be interesting indeed to see what happens after Chara graduates in the summer of 2015, where she goes and what Florence and I end up doing in the process. Our older daughter, Maia is graduating with a teaching degree this spring and is engaged to be married to Jake O’Bannon, also from OKC, on July 18th. We will be back in OKC, July-August for the festivities and look forward to seeing friends and relatives who can join us for the matrimony. While I’m less clear on what Maia and Jake want to do professionally, Maia is a serious missionary volunteer, having worked in Nicaragua and Uganda. Jake will be graduating from law school, and from what I can tell, he has no plans to sign up with the Fortune 500, and seems interested in staying local. We look forward to seeing their life together develop. 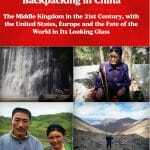 2013 was a big year for my literary aspirations, as I wrote, got edited and rewrote numerous times my first book, 44 Days Backpacking in China: The Middle Kingdom in the 21st Century, with the United States, Europe and the Fate of the World in Its Looking Glass. That and self-publishing, I have to say, are probably the hardest tasks I’ve ever committed to. Like all creative people, I have dreams of making a career out of writing and providing for my family. But promoting 44 Days since August, when it was released, has been a very sobering experience. Best as I can tell, only about one friend/family member in a hundred is willing to buy my work, so that leads to trying to make a name for myself. I’ve gotten wonderful endorsements from established writers like Thomas Bass, John Pomfret and William Kazer, and independent writers like Mick Winter and Deena Stryker. I am putting their blurbs on the book cover, but it really doesn’t help with name recognition. I get thousands of pageviews every month on my website, but in this day of bit torrents and free pier to pier downloads, artistic effort has been digitalized and commodified, like corn or iron ore. While the writers’ endorsement mean a lot to me professionally, I now accept that there is a miniscule chance that my name will gain public traction. So providing for my family with my writing talents is now focused on just getting my investment back on publishing 44 Days. In order to do that, I’ve got to sell about 500 more copies. I realize that I’m going to have to do it myself, book by book, at lectures and book signings in China. I’ve already started and have more lined up in 2014. I was interviewed by China Daily, the flagship foreign language paper here, and Bruce Connolly, a former BBC journalist, is doing a series of interviews with me on Radio Beijing AM774. I will be a featured speaker at the Beijing TEDx next month and will be a guest author at big literary festival in Beijing as well. 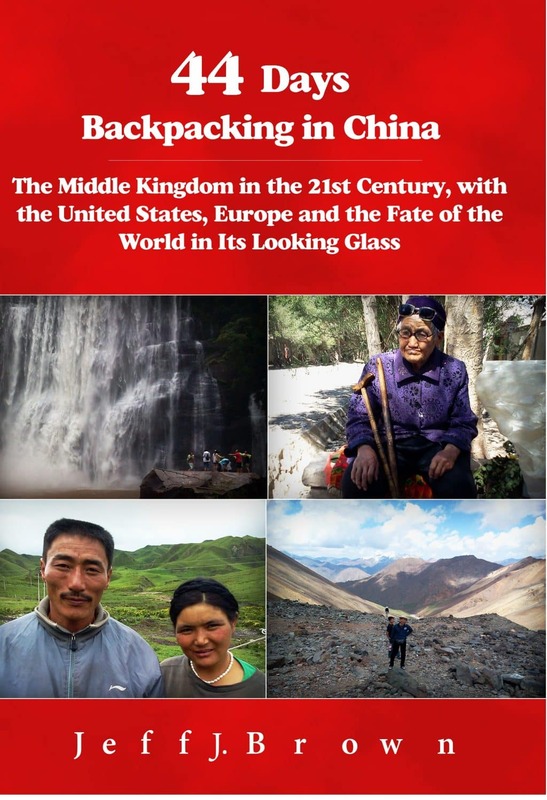 Further out, I will be releasing my second book at the end of 2014, based on my website’s weekly column, Reflections in Sinoland: Reporting from the Belly of the New Century Beast, and in the summer of 2015, plan on taking another big “44 Days” road trip in China. I’ve only not been to four Chinese provinces: Tibet, Qinghai, Hainan and Taiwan, so hopefully I can get to them. William Robert Brown: My dad was very physically deteriorated the last year or two, when he died on January 22nd, at the age of 82. I saw him the Christmas before last in OKC and was shocked at his bodily feebleness. He fell and broke his hip last month and that is often a harbinger of the coming end. He was still mentally in good shape, but I think he could not stand the thought of spending the rest of his life in a wheelchair and rehab centers. He told me so a couple of weeks ago, that he was never going back. He died in his sleep as soon as he got home, after being hospitalized for an extended period. It was where he wanted to be. I had some nice, long talks with him by phone over the Christmas/New Year holiday, which in retrospect I can now appreciate. He died knowing we had a great relationship, loved each other very much and were proud of each other’s life and literary accomplishments. I got his first book, Cletus published on Amazon, Kindle and Barnes & Noble in September. It meant a lot to him to see it in print, and everything in the world for me to do that for him. He was a great writer and if I ever get the money, I would like to publish the other Cletus books, along with a steamy, white collar crime novel he wrote, called Inherited Sins. It would make a great Hollywood potboiler of depravity, drugs and wanton greed among the 1%. Quentin Tarantino and the Coen Brothers, whom I all met in Beijing in 1996, please take note. 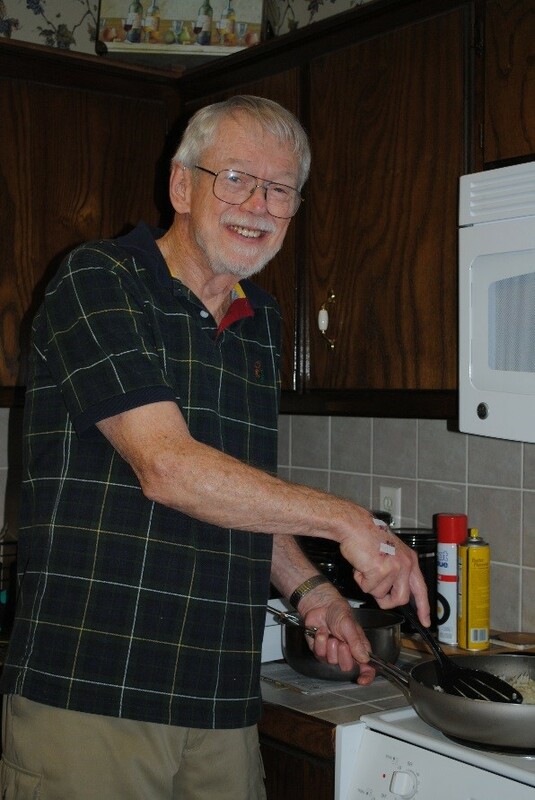 It was on Thursday morning, I woke up to an email message from my dad’s wife Dovie, that he had died the day before. I was really trapped at work, with having to redo all the progress reports by hand on Thursday, after a software crash. On Friday, all the students were in a big winter show to end the semester, and in which I was playing a role. I did not want my personal woes to distract from all the efforts the kids were putting into Friday’s performance, nor cause a drama about progress reports not going out. As Noel Coward said, “The show must go on”, and it did, without a hitch. Then there was drama at home as well. Wednesday, we finally decided to buy Florence a ticket to go back to France, to be there for the signing of her father’s (Raymond) estate settlement. It has been a year and a half of senseless acrimony and bitterness between the five brothers and sisters, along with the two half-sisters on Raymond’s wife’s side. Given the situation, she wanted to make sure her father’s personal papers and effects were properly removed from his apartment. I was afraid if I told Florence, she would try to cancel her trip for me to go the US (we only had enough money for one ticket and Chara only gets five days off for Chinese New Year, so one of us needs to be here) and to be honest, Florence’s needs trumped mine. My dad, being a principled and proud atheist, wanted no service and Dovie is taking his ashes, tentatively to Lake Eufaula in Eastern Oklahoma, where they had a home for years. For me to go back to Oklahoma, especially since we will be there for Maia’s wedding in July, seemed pointless. So, I sent Maia a Whatsapp SMS to ask her to not put anything on Facebook, until her mom took off on Sunday, which she honored. In the end, I think I made the right decision. Still, I was very distracted at work and at home this weekend, and it was a strange experience keeping it all bottled up, internalizing it like a good Chinese, practicing chiku (吃苦), which means eating bitter. I kept noticing I was mumbling, talking to myself and hyperventilating. It was surreal. There are advantages to being an atheist, which Chara is too. We are remarkably calm and accepting of Dad dying, and are talking about it each day. After all, death is part of the process of life. I will have many years to reflect on his life and the powerful role he played in my random chance time here on Earth. In the meantime, I am healthy and excited about the present and future. Since moving in July from our expensive, expat digs at Beijing Riviera, to our much cheaper local apartment at Kangying Jiayuan, my routine exercise is climbing 100 floors most days, or one Empire State Building, while carrying 2.5kg barbells for upper body strength. I also bicycle 50 minutes round trip each day to go to school, rain, snow or shine. As I enter the third “age” phase of life, I cannot complain. 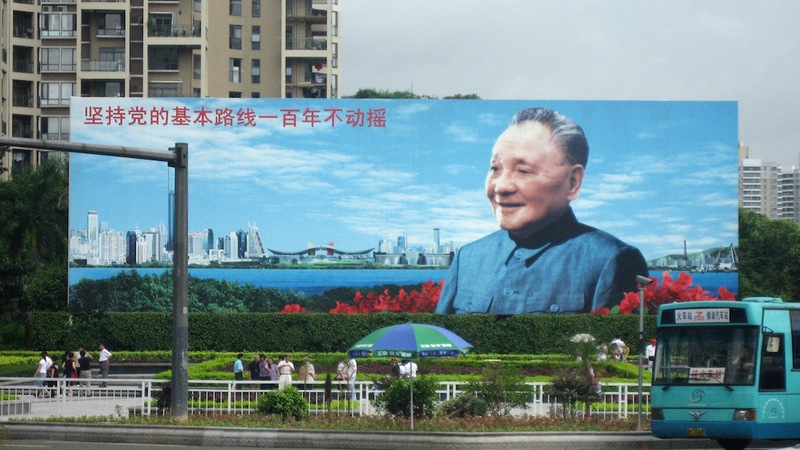 Want a fun, low cost honorary degree in Chinese Studies? Jeff’s book, 44 Days, will have you laughing while learning and becoming an expert on all things Middle Kingdom. If you live in China, buy it on the 44 Days website, clicking on either Print Book, Ebook or Color Ebook.